India’s design story is a unique one, influenced by the country’s exuberant history of revolution, craft and culture. 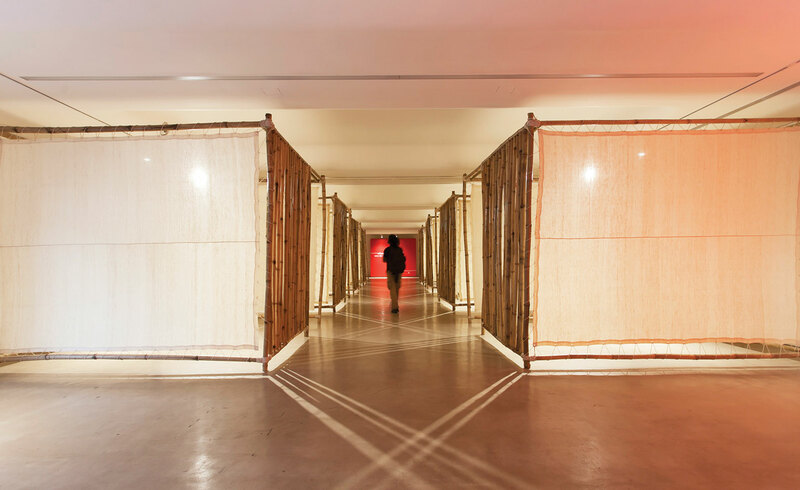 Designer Divya Thakur has explored this narrative extensively: at the Victoria and Albert Museum’s ‘India Now’ exhibition (2007); for her Wallpaper* Handmade project with Leandro Castelao (2011); and more recently with ‘India Past Forward’ in Stockholm (2015). Displayed at Chhatrapati Shivaji Maharaj Vastu Sangrahalaya (CSMVS), the first of the two exhibits traced Indian domestic design, from cookware and safes, to fridges and tiffin boxes. ‘We wanted people to consciously view these pieces as design rather than just an object,’ Thakur says. Technology, however, has proved to be more of a challenge to the local design scene. Electricity was only first introduced to India at the turn of the 19th century, and this reflects in the ‘Light’ section of the exhibition, which eschewed modern pendants for beautiful brass lanterns and motorised fans for intricately woven rattan pieces. 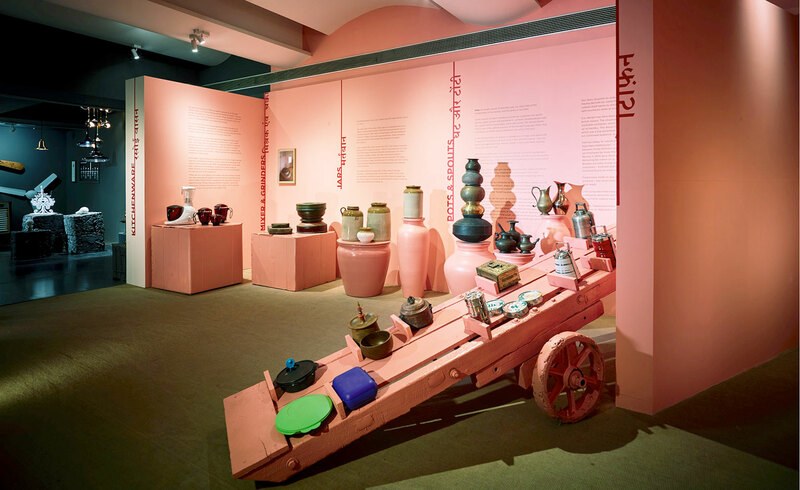 India’s cooking heritage came to the fore with a display of copper and ceramic kitchenware; a section dedicated to perforated surfaces displayed the dynamic print craft of the country. Elsewhere in the city, at Gallery Max Mueller Bhavan (MMB), ‘Ideas Through Time’ (above) explored the notion of ‘Indianness’. Thakur says, ‘It is like what makes Scandinavian design “Scandinavian design”, and not an external attribute, like colour or a sari, but an innate ability of the way we function intrinsically.’ These qualities are whittled down to eight different ‘philosophies’, including a conceptual set of bamboo and Ahimsa silk cubes. Traditional products were decidedly absent, while a soundscape created in collaboration with musician Yogi Ponappa nodded to the spiritual qualities of Indian culture. ‘Design: The India Story’ is an opportunity to think what lies ahead for the nation. There is hope for a ‘fourth industrial revolution’, which would see India leverage its rich, cultural past for an even more powerful future in design.